"Where do I begin? Many many years ago I met Patty. My children were babies and we were looking to move to another location in Beach Haven West. Patty sat with us for a very long time and listened to ALL of my request! (as my kids were running all over the place) She knew that I loved the home I was selling and knew just the feeling I wanted in a new home. She found the perfect one for us! It was a wonderful transition and a new wonderful friendship! We truly couldn't have asked for better service. It was like having family help you. When you meet someone on the island who has also used Patty the feeling is the same. She is just so smart AND sweet! Our relationship does not end there. Skip a head 13 years. As we reflect on the one year anniversary of Super Storm Sandy we and all we talk to are still so sadden by our losses. As I reflect I am also so grateful for my friend Patty Romano. Now our new home was on the market with Patty. We were living out of the country. Patty had open house showings for us all the while checking on our property in our absence. THEN Sandy hit. Patty was the first to get into our house. Skyping with us to keep us informed. Patty made arrangements for work to be done on the house (the gut). She over saw every aspect of the repairs. (Like a family member would do). She worked with the township and our insurance company. Patty made herself available to let insurance agents in and evaluated the damage. There was nothing she wouldn't do for us. The best part... She ALWAYS offered, we didn't have to ask. Sooo although there has been such sadness with the storm, we look back and realize what a treasure we were/are truly blessed with in our friend Patty Ramano!!! DID I MENTION THAT PATTY MANAGED TO SELL OUR HOME!! If you would like to find the perfect home, Patty will find it. If you would like to sell your home Patty will find someone to love it as much as you did. If you would like to find a friend that you can trust with anything and everything. You should call my friend Patty. You will love her!!" "To say that I "Like" Pattie would be a Major Understatement. Facebook needs to come up with a "Love" button. She is without question the Best at what she does (in addition to being a great person in general) and I would never hesitate to recommend her for Anything Real Estate related." "Pattie Romano is a Professional Realtor and sold our home under a tight deadline with a very aggressive approach and marketing campaign. In the years we've known Pattie, she gives the business "her all;" we not only have a great real estate agent but a wonderful friend too. Our house had been listed with another agent for 6 months, there were very few showings and no offers. We switched our listing over to Pattie, who quickly turned up the heat on our marketing strategy, gave us great advise on price (to ensure renewed interest in the property), and got us the offer we had been hoping for all along. When purchasing our new home, Pattie impressed us again. Her web site is fun and helpful, she took us through as many houses as we wanted to see (and that was a lot) allowed us to explore what was available at different price points. When we'd made our decision, her knowledge of the property and the owner (since Pattie had sold the home to its current owner a few years prior) helped us greatly. In short, weather you're buying or selling, you need a good realtor in this market and Pattie is the very best. She is experienced, hard working, professional and, - here is the clincher - very very fun to work with." "I was referred to Pattie Romano through an associate and can say she is one of the most patient professionals in the business. She made the transaction smooth and easy; anything that was asked was done quickly and efficiently. In my career I work with real estate agents every day -- Pattie is the "tops" -- and now I refer my clients to her. The One to call on! "Pattie Romano worked 24 hours a day --- 7 days a week for us both with the sale and purchase of our homes. She did everything possible without any problems whatsoever and with each day we grew to be friends in addition to already having a successful and productive business relationship. "Pattie Romano is "the best!" We originally tried to sell our property on our own, but once Pattie had the listing there were 3 offers just days later. Pattie is a motivated professional in the industry and has an extensive network of buyers and sellers. Now our family and friends work with Pattie for all their real estate deals. "We have sold two homes and bought our homes with Pattie Romano and each time she negotiated the terms we wanted and had signed contracts in less than one week! As part of her sales marketing plan Pattie took both exterior and interior photographs, which gave a virtual tour of the property to prospective clients before they arrived. "Joanne and I know how lucky we are to have found you through your radio show. As our realtor, you so went beyond the "norm" for us in finding our new home (which we love). As you well realize, making the decision to move from a home we already loved was difficult at best, and I appreciate your patience with me specifically because I know at times I was difficult at best. You also kept Jo and I optimistic in a not-so-good market. Your professionalism, knowledge, sense of humor and compassion made everything come together for us and we will be forever grateful. Most important, when all was said and done, Jo and I had a new friendship for which (unlike a home), there is no sell price. 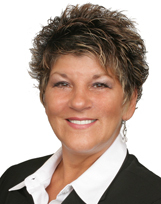 "If you're in the market to sell or buy a home - you can't go wrong working with Pattie. Pattie's a dedicated professional who knows what it takes to get the job done right the 1st time." "Thank you so, so, so, much for your hard work,efforts and kindness in my grandma's real estate transaction. You have greatly helped in giving our precious grandma a new life she deserves and can finally enjoy. Not only are you an awesome realtor,but a great person. Please keep in touch.